Need help finding that special mother-son wedding song? These meaningful mother-son dance songs will have mom shedding happy tears (or sentimental ones) on the big day. 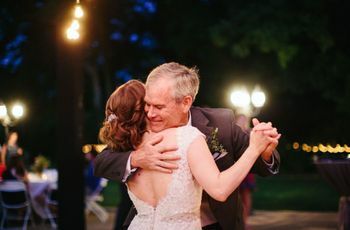 The first dance song might be top of mind when it comes to choosing your wedding music, but mother-son dance songs — and parent dance songs in general (hello, father-daughter dance!) — are just as important. 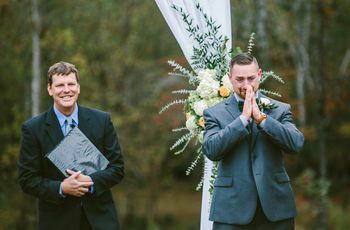 As the groom, the bond you share with your mom, whether she's your biological mom, step-mom, adoptive mom, grandmom, or mother-like figure, is a special one that should be honored on your wedding day. After all, she loved you first! 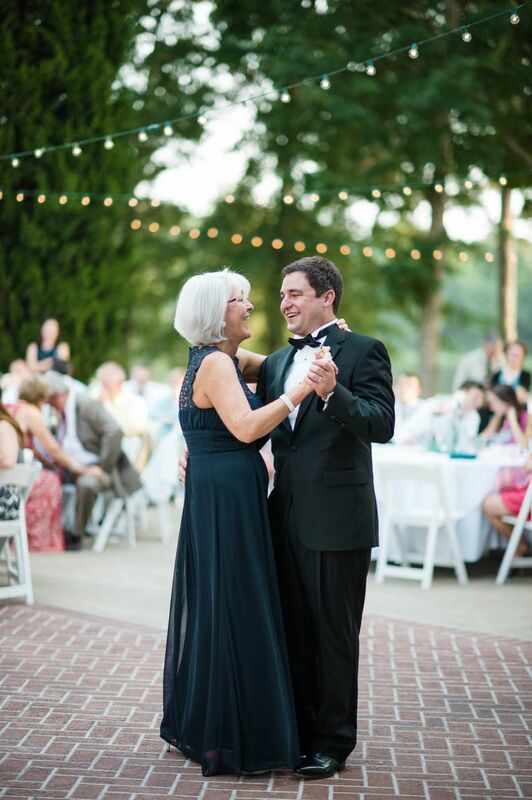 There's no better way to embrace your bond than with a heartfelt mother-son dance song at your wedding reception. These are our favorite mother-son dance songs, ideal for that special wedding moment between the groom and his mom. Get those tissues ready, because once this mother-son dance song starts playing, we don't think there will be a dry eye in the house. Inspired by a Bob Dylan song with the same title, Rod Stewart wrote "Forever Young" about his two kids. The lyrics send a message about always being brave, staying kind, and never losing sight of who you are as you grow up. We imagine this song has a sentiment that any mom can relate to, which is why it's one of our faves for a mother-son dance. If you're looking for a mother-son dance song that's more upbeat, "The One Thing' by Shakira is a perfect choice. With lyrics like "You're the one thing that I got right / It's a big ol' world, yeah, it's a big ol' world / You turn the darkness into sunlight," this tune beautifully sums up the feeling of being a mom! Here come the waterworks (again). Ciara's song for her son, Future, tells the story of a mother's promise to always be there for her child. The opening lyrics, "Hush little baby don't you cry / Momma's gonna love you all your life / And if you ever need a friend / Momma's right there 'til the very end" get us every. time. If nothing else, check out the music video for some of Ciara's adorable mother-son moments. What could be better than a song Adele wrote for her son? This sweet ballad guarantees that your mother-son dance song is a special moment you'll both always remember. This is definitely on the list of most popular mother-son wedding dance songs. 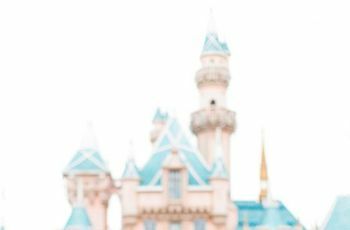 It's an original song from the Tarzan soundtrack, making it an especially great choice for Disney fans, but the message about a mother's unconditional love is universal. With lyrics like, "I'll stand by you / Won't let nobody hurt you," this song perfectly captures the meaning of a mother-son relationship. Sung from a mom's perspective, this touching song is perfect for any parent child wedding dance. Beyoncé wrote "God Made You Beautiful" about her daughter Blue Ivy, and the lyrics get us every time: "When you were born the angels sighed in delight / They never thought they'd see such a beautiful sight / You took a breath and the world was right again / Tears were shed, how we had been blessed." Since winning American Idol in 2012, Phillip Phillips has become known for his acoustic, folk-inspired music. We love his most famous song, "Home," for an upbeat mother-son dance. Dance along with your mom to this heartwarming Boyz II Men tune from the '90s. "A Song for Mama" is one of our fave modern mother-son-dance songs for the mom who's always had your back, with the lyrics "You're always there for me / Have always been around for me even when I was bad / You showed me right from my wrong." 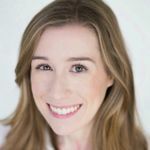 While this song is written from Meghan's perspective as a daughter, the heartfelt message about having the best mom ever applies to grooms, too. The lyrics "You might have a mom / She might be the bomb / But ain't nobody got a mom like mine" will make your mom feel like the guest of honor during your mother-son dance. Moms who love country music are sure to connect with this Carrie Underwood song. It's a definite tear-jerker, with the lyrics "Never pictured myself singing lullabies / Sitting in a rocking chair in the middle of the night / In the quiet, in the dark / You're stealing every bit of my heart with your daddy's eyes / What a sweet surprise." This is a love song, but it could also be taken from a mom’s point of view for a perfect mother-son dance song with these sweet lyrics: “You're the simplest love I've known / And the purest one I'll own / Know you'll never be alone.” Oh, the feels. This more mellow cover of the Guns N’ Roses classic hit is perfect for rocking out with your mama on the dance floor. We're bringing the '80s back and naming this as one of our favorite mother-son dance songs for 2017. It's no secret that Tay and her mom are BFFs, and this song that Taylor wrote about their relationship is proof if you ever needed it. "The Best Day" captures a mother's love through the eyes of a son or daughter, with lyrics like "I know you were on my side / Even when I was wrong / And I love you for giving me your eyes / Staying back and watching me shine." This mother-son dance song is guaranteed to make the room a little misty-eyed, but in the sweetest way. This one goes out to all the hardworking moms out there. Show your love for your mom with this touching choice, which is one of the most meaningful mother-son wedding songs you could ask for. Rascal Flatts understands that no one in the world loves you like your mom. Even after you grow up and get married, she'll always want the best for you (that's what moms do, after all). The lyrics, “My wish, for you, is that this life becomes all that you want it to / Your dreams stay big, your worries stay small / You never need to carry more than you can hold / And while you're out there getting where you're getting to / I hope you know somebody loves you" get us every time. This song opens with a groovy melody that will make people want to get up and dance. If you’re looking for a way to tell your mom that you appreciate everything she's done for you, this is the perfect mother-son dance song to play. Work on some choreographed dance moves to really blow the crowd away! We can't ever resist a Stevie Wonder song. "You Are the Sunshine of My Life" is one of our favorite and most lovely songs for a mother-son wedding dance, especially if the two of you love to show off your moves! We envision a lot of twirling and dips happening to this jazzy tune. Your mom always knows how to make you smile. Now it's your turn to make her smile with a dance to this sweet Tim McGraw tune. We love "Just to See You Smile" as a mother-son song for rustic or barn weddings in the country. Country and rock music fans alike can appreciate Keith Urban's guitar skills. "God's Been Good to Me" is a meaningful mother-son song choice for any groom who's counted on his mom to help him through tough times, with the lyrics "I've been down some darkened detours / Leanin' heavy on my faith / But where the devil had me chained / Lord, youre love done set me free." John Lennon wrote this song for his son Sean. If you want to bring out all the feels during your mother-son dance, you'll definitely want to give "Beautiful Boy" a listen. The rumor is that Neil Young wrote this song for his daughter, who was away at college. Either way, "Here For You" is a good choice for a slow-paced mother-son dance song (or a father daughter dance song, too!). If you and your mom love classical music, we bet you'll love this version of "The Wonder of You" accompanied by London's Royal Philharmonic Orchestra. If you're looking for a more low-key addition to your wedding song list, "93 Million Miles" is mellow yet meaningful. We like it for a mother-son dance because of these lyrics: "My beautiful mother / She told me / Son, in life you're gonna go far / If you do it right / You'll love where you are / Just know that wherever you go / You can always come home." You can't go wrong with this James Taylor classic. 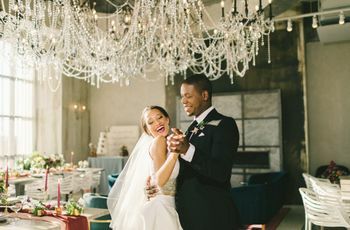 "How Sweet It Is (To Be Loved By You)" is a strong addition to any wedding song list and works wonderfully as a mother-son wedding dance song. This Van Morrison song is a no-brainer for any classic rock fan. "Days Like This" is one of our favorite suggestions for mother-son dance songs and we love the lyrics: "Oh my mama told me / There'll be days like this." The original version of this song by Ellie Goulding is much slower and stripped down, but we love this upbeat cover by Jon Boden. It's from the About Time soundtrack and has a catchy Celtic-inspired vibes.